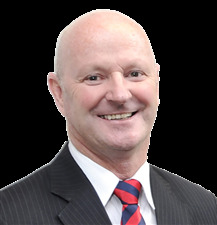 Harcourts Nelson & Richmond shareholder and Branch Manager Chris Harvey joined the team in 2013, bringing with him many years of management experience from a career in corporate management. 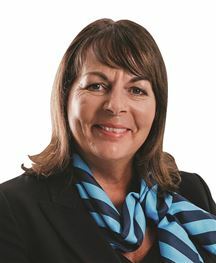 He has worked in various roles for Harcourts throughout the country, and was attracted to Nelson after initially working at Harcourts Grenadier as sales manager from 2008 to 2010, before moving to the Wellington Regions Team Group to fulfill the role of chief operations officer from 2010 - 2013. As a keen outdoorsman and motorcyclist, Nelson’s beautiful beaches, tracks and trails and back road biking routes appealed to Chris who was looking for a lifestyle change and keen to run his own business. Chris has a passion for coaching, developing and mentoring individuals, creating a great culture to work in and delivering outstanding value to customers. As well as empowering his own team here in Nelson, he works with individuals and businesses around the country, helping them identify opportunities and encouraging them to reach their full potential. As a member of the Nelson Triumph Riders Motorcycle Club, he spends a fair bit of time participating in rides around the country. Mike Rollo loves a challenge. He loves rolling his sleeves up and getting stuck-in for the good of his clients. His passion for the dynamic industry has kept him interested throughout the past 24 years, seeing him work his way up from sales, to management, to branch co-owner. He loves the freedom of the business, but he also loves the challenges that come with it. A self-confessed “old fashioned” realtor, Mike has continued learning throughout his career, establishing himself as a successful auctioneer and gaining his associates qualification (AREINZ) through Massey University in 2007. During the past 3 years Mike has gone back into sales, keeping things fresh and challenging by joining the commercial sector. He is intrigued by property, and prides himself on his negotiation and communication skills which allow him to get the best outcomes for his clients. Mike is a passionate Nelsonian and sportsman, representing the region in rugby, cricket and running, before moving into coaching and management roles within Nelson football. Mike has a passion for what Nelson has to offer with the climate, the people, the outdoors, and a prosperous and positive city he wants to help his clients make the most of. He has a relaxed professional style, and places his clients’ comfortability with the utmost importance, helping them to feel at ease. A born and bred Nelsonian, Caroline Fletcher’s expansive knowledge of the region and its people has resulted in a successful real estate career spanning 27 years. She marvels in the changes to Nelson over these years and the fabric of the community which is now colourful and dynamic, a true cosmopolitan centre. Many of the skills and personal attributes she developed through her previous nursing career such as her high levels of professionalism, hardworking attitude and genuine love of working with people were remarkably relevant to real estate. This proven by the long list of awards she’s picked up over the years being regular top salesperson for the Nelson office. Caroline loves walking and exploring the streets and trails around the city and her neighbourhood on the Port Hills, which enables her to catch up with other regular walkers and keep a finger on the pulse of the local market and changing landscape of the town. A passionate cook who enjoys bringing people together, Caroline loves nothing more than picking up fresh produce and goodies at the Nelson Market, and creating great food and good times for friends and family. Meet Caroline Fletcher on YouTube. Make the right move with Gareth Duncan. Gareth was drawn to real estate from a young age, and after buying his first home in his early 20s, has built up a solid investment portfolio of property in geographically diverse real estate markets. Gareth moved to Nelson 15 years ago with his wife and young family, and during his time working on fishing vessels and gaining his New Zealand Offshore Masters, he learned hard work, practical sense and persistence brings great rewards. Gareth is now working on the other side of the ledger as a member of the Harcourts Nelson sales team, where his wealth of marketing and negotiating skills and innate ability to create competition within the market enables him to get his clients the best price possible for their property. Backed by the most powerful real estate brand and network in New Zealand, Gareth operates with an open minded, hardworking attitude that achieves proven results. Whether you’re selling a property worth $250,000 or upwards of $1 million anywhere in the Nelson or Tasman area, Gareth’s experience, enthusiasm and honesty adds value to the process, as well as making it as stress-free and easy as possible. Greg is a highly driven individual who shows a high level of commitment, enthusiasm and integrity, with Greg's outstanding personality he is a great choice whether you are buying or selling. 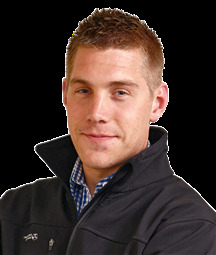 Having been involved in Real Estate for over four years he has achieved outstanding results. Being self motivated and passionate about people, Greg looks forward to meeting new clients, working with existing clients and assisting you with all your real estate needs. Also offering a husband and wife team, Greg and Kirsten deliver the best of both worlds in real estate service and knowledge. Real service, real people, real results! Michelle Robinson is used to hard work. Having successfully operated her own businesses and held high-stress sales positions, she is well aware how much effort and dedication is required to succeed in any vocation. And working hard in order to achieve the highest levels of success is just one of the reasons she chose a career in real estate. 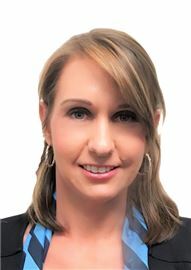 “My attention to service is huge, and every career path that I have followed has been based on giving great service, so I pride myself on being able to deliver this.” Michelle has always loved the “adrenalin rush” of purchasing property, and she loves living that experience with her clients on a daily basis. 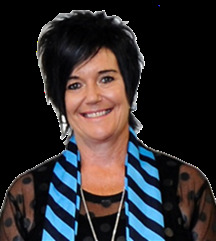 Positive, fun loving and professional, Michelle is passionate about combining her love of both people and property. At Holmwood, Michelle is confident she’s surrounded by the absolute best sales and marketing teams, and that means she can offer her clients an exceptional level of service. For a committed and dedicated approach to the sale or purchase of your next property, make contact with Michelle Robinson today. Peter has a lot of tools in his real estate belt, with over 30 years in sales, the past 15 years being in real estate.He embraces the variety that being a real estate consultant offers, and the satisfaction gained from helping clients along with their lives. Peter specialises in the Atawhai, Glen and Hira areas, selling both residential and rural lifestyle properties, as well as subdivision section sales and new house and land packages. With a draughting background, he often liaises with builders and building companies, helping buyers create their new dream home. Peter feels privileged to live in Nelson with its enviable climate, a city small enough that you still have accountability, yet big enough with its vibrance attracting people to live from all over the globe. Out of work, Peter thrives on the outdoors, a keen fisherman and motorbike rider. Peter’s personal philosophy is one of “putting himself in his client's’ shoes”, and delivering 100% commitment, focus, service and professionalism. 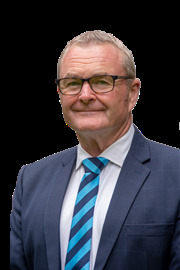 Phil Gully joined the Harcourts Nelson team in 2002, with a wealth of sales and management experience under his belt after 28 years in broadcasting. The sixth generation Nelsonian left the region when he was 18 to pursue a career in television and radio broadcasting around New Zealand, returning to the region for his dream job as general manager of Radio Nelson. However the avid outdoorsman was keen for a lifestyle change and decided to escape the corporate life with a switch to real estate in effort to free up more time for boating, fishing and hiking. Work ethics picked up during his broadcasting career, such as the importance of hard work and providing a consistently high standard of customer service have proven to be equally valuable in real estate, with his high standards and the Harcourts sales process ensuring he achieves the best possible results for his clients. Since joining Harcourts Nelson, the father of two has also enjoyed the opportunity to spend more time with his wife of almost 40 years, Anna and their two children and grandchildren. The couple are as passionate about community as they are family, and have been involved with Rotary for more than 20 years, including a stint as co-governors of the top of the south Rotary Group. Phil has also been president of the Nelson Chamber of Commerce and a committee member of the Wakapuaka Taiapure. Sarah has youth and enthusiasm on her side and a passion for all things boating, fishing and hunting. Sarah is a fifth generation Pelorus Sounds farming family, so it’s fair to say she knows the area like the back of her hand. Born and raised in Tennyson Inlet, she has the experience and local knowledge for the area, and a desire to share this wonderful place that she calls home with the rest of the world. 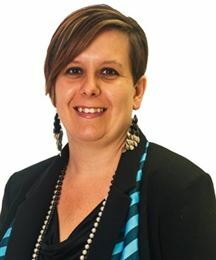 Mother of two and time spent as a union representative in the fishing industry she has honed her negotiating skills, Sarah also worked in the forestry industry. With a strong background in the sheep and wool industry, Harcourts Nelson’s newest rural consultant found the transition to rural real estate to be an easy and natural one. 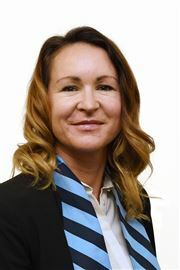 Originally studying at Lincoln University, consultant Sharyn Miller went on to work as a wool buyer for a New Zealand wool exporting company for 14 years, purchasing wool on behalf of high-end Italian and Japanese spinning mills and liaising with farmers. Through her exposure to the rural industry, Sharyn says she gained a great understanding of the people she dealt with on a daily basis. “I learnt to understand rural people and what was important to them,” she says. This knowledge proved useful when she went on to work for The New Zealand Merino Company as an area manager for 13 years. 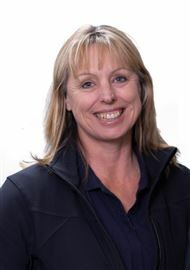 Each year, Sharyn put in thousands of kilometres visiting her customers in Central Otago, Mackenzie Country and then later in the greater Canterbury region. However, the pull of the Nelson lifestyle proved to be a strong one and Sharyn and her husband made the decision to move from Christchurch to Nelson, a place they had always enjoyed visiting on holiday. “The area has all the attributes we enjoy in our leisure time, mountain biking, the ocean, mountains and wilderness,” Sharyn says. 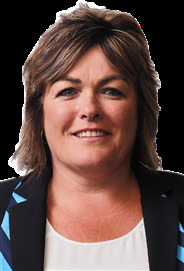 With the move to Nelson and a wealth of experience behind her, there was no doubt that Sharyn wanted to remain in the rural industry. “I knew that with my past experience of working closely with rural people and also my strong relationship and negotiating skills I could slot naturally into rural real estate,” she says. Nelson’s diverse and interesting rural landscape has always been a drawcard for Sharyn and with the varied nature of the rural real estate industry, she says no two days are the same. 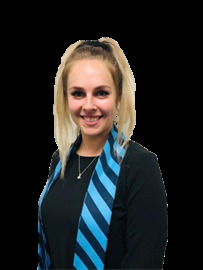 Sharyn says she is proud to join the Harcourts Nelson Rural team and is excited about being involved with all the different aspects of the rural industry in the Nelson and Tasman area. A trained mechanic, high-level sportsman and DIY enthusiast, Nelson Harcourts Sales Consultant Struan Bennett isn’t afraid to put in the hard yards to get the best results. With more than 26 years experience in real estate here in Nelson, selling $230million of property, Struan has established a name for being an honest, straight shooting agent. Since joining the industry in the 1990s, Struan has ridden the highs and lows of the property market, gaining the experience to identify and leverage the unique advantages of various situations to achieve the best possible results for his clients. After representing Nelson in hockey both on and off the field for 38 years, hard work, determination and common sense are second nature to the father of two: “You have to move a lot of dirt to get the gold nugget.” These days Struan is happiest doing a bit of DIY at his home in the Port Hills, following the boxing and catching up with his mates - but with energy to burn and an eye for opportunity, the next project is never far off. I am an experienced Property Manager who has a strong focus on helping provide exceptional customer service. I understand all aspects of property management and I have excellent communication skills and a positive proactive approach to ensure care is taken and you receive maximum returns on your investment property. I am NZQA Qualified in Property Management Level 4. I am an experienced property manager and have a strong focus on helping provide exceptional customer service. Having been both a tenant and landlord, can relate to all aspects of property management. My aim is to ensure a 'stress free' experience for landlords. Krystal first joined Harcourts over 10 years ago. 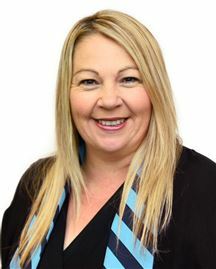 Having worked in a variety of aspects of the Real Estate world, she has a vast knowledge to draw upon for her new role, assisting Toby run his Rural business. 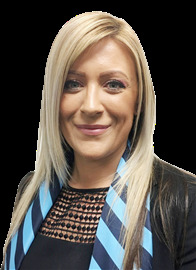 A true “jack of all trades”, she is a fully qualified sales consultant and experienced personal assistant, with a passion for people and property. Don’t be fooled by the stiletto heels – this girl owns gum boots too. Krystal has spent time on family farms both here and in Australia, she can milk a cow, ride a horse and has counted more sheep than you could imagine. A keen outdoors person, Krystal moved from Christchurch to Nelson in 2011 and makes the most of the sunny climate that the region has to offer – she’s never too far from the water, enjoying kayaking, boating and fishing with her husband and two small children. 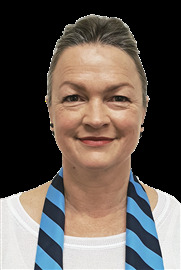 With a background in corporate sales and training, including the banking sector in Auckland and also holding a BEd (teaching) gained at The University of Auckland Lisa Small has become an integral member of the Harcourts Nelson team since joining us in 2011. After 7 years as personal assistant to Caroline Fletcher, Lisa's role is now that of marketing - social, digital and print; coordinating training and legislative procedures. Lisa enjoys the lifestyle that the Nelson/Tasman region offers and makes the most of the region, especially the great roads in the region where she can ride her Triumph Street Triple with her partner and fellow riders. Holiday At Home This Summer! A Find for a Family! Bird's-Eye View of The Bay! Space on a Grand Scale! Life Can Be Pretty Good! Pinch Yourself! This is It! Our Owners Plans Have Changed! Stunning Views Day and Night! Perfect Timing - In For Xmas! Come, view, buy and move!! Land and Buildings For Sale!!! A Stones' Throw From the CBD! Set your Sights on Seaview!!! Entry Level For A Great View! Your Piece Of Harbour Side! Get off the Rental Roundabout! "Art Deco" That's Gotta Go!